I was extremely stressed when my vehicle broke down in maple ridge on my first day of a month long trip. I didnt know where to go but I am so happy I chose minut time, The service and guys ( especially Dustin ) at the shop were phenomenal, fast, friendly, professional and waited for my okay before doing anything to the vehicle and kept there word with price. I had an extremely good experience and would rate it 6 stars if I could. Would highly reccomend this shop. I just went here yesterday, and I had expected my car would be a few days, but they finished it in a few hours, and the service was amazing. Great people! They thoroughly explained everything in laymans terms (which for me is a blessing as i do not understand cars). This place is the best of the best in Maple Ridge. 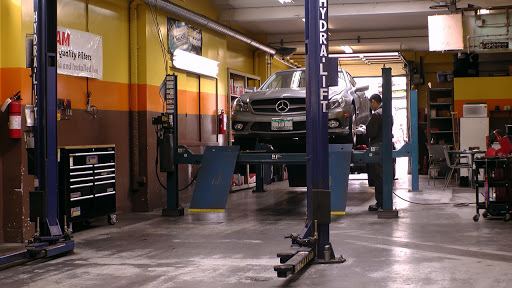 Finding a mechanic you can trust that you know will provide an honest inspection report is very hard to find. My neighbor recommended Minit Tune to me 10 years ago and I would never consider going anywhere else. If I have a flat tire he will get it fixed next door and I pay them direct - no mark up! Anything my car needs to be safe and sound is taken care of thoroughly. Always leave confident in the work that was done! Thoughtful and pleasant staff and mechanics. Happy to recommend this Minit Tune to anyone! went in for a new radiator and back brakes. Turned out the brakes just needed an adjustment. Rob and his team are professional and ethical. Highly recommend this Minit-Tune. I will be back. Dustin and his crew are top-drawer. Always very helpful, congenial and thorough. These guys were recommended to us for our domestic vehicle needs by Jans next door at EuroWrench. They were amazing! They got me in immediately, fixed my car fast and what a good deal! Good Service, follows through on his estimates.